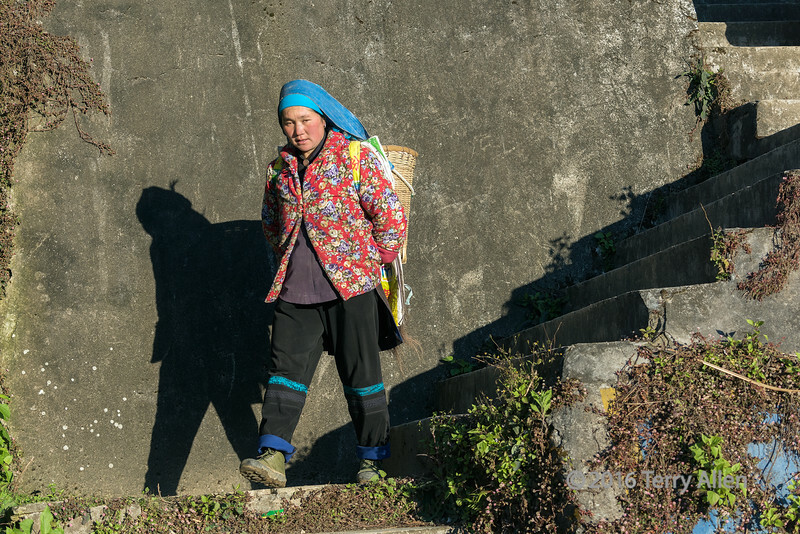 In the Malizai area of Yunnan province, China, woman construction workers were carrying heavy wicker baskets full of gravel up some stairs. This woman had dumped her gravel at the top and was on her way down with an empty basket, which was much easier. Great timing always makes perfect shadows! Nice work. good capture. I like the shadow and stairs. Coming down is a lot easier with an empty basket. Nice capture of this person and great backdrop. Great colors against that stark gray wall.